This entry was posted in NAA Live Archives and tagged Andy Albright, Andys Live Show, Burlington, NAA, National Agents Alliance, The Alliance, The Live Show, The Wednesday Call Live, TWC, War Parties. Bookmark the permalink. The Wednesday Call (TWC) for October 15, 2014: Andy Albright hosts a live conference call and meeting from National Agents Alliance Headquarters in Burlington, NC! Andy's live show covers all kinds of great topics, including training, information on team building, new developments that are in the works, and frank discussions with your fellow agents (beginner and top level managers alike!). If that wasn't enough, the live show also provides motivation and encouragement that will help get you fired up and ready to roll! Be sure to tune in and take advantage of the great info in The Wednesday Call. Andy Albright was live via audio stream from Chicago, Illinois where he was hosting a War Party today. He started the week in Detroit, Michigan and headed to Columbus, Ohio yesterday. Andy opened the call by talking about all the contests The Alliance is holding and what you can win with each one. What are you thinking about? Instead of battling doubts you need to come to grips with your belief. Move from agony of questions you can't answer and focus on questions you can answer. Decide where you are going and go. Stop wondering and start believing. Focus on the things that matter and make a difference. Do that and take action. Why do some people fail and some people succeed? People don't know what they are fighting for? What are you here for? If you are still here, you have a purpose. You are not just here to be idle. 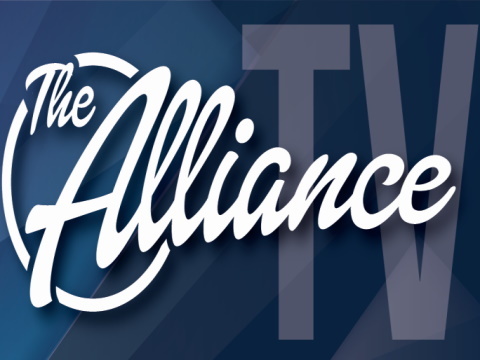 The Alliance is looking for more leaders looking to grow and change lives. The Live Show will air again on October 22, 2014 at 12:30 p.m. EDT. The Wednesday Call Live (TWC) for July 17, 2013: Andy Albright hosts a live conference call and meeting from National Agents Alliance Headquarters in Burlington, NC! Andy's live show covers all kinds of great topics, including training, information on team building, new developments that are in the works, and frank discussions with your fellow agents (beginner and top level managers alike!). If that wasn't enough, the live show also provides motivation and encouragement that will help get you fired up and ready to roll! Having just wrapped up an incredible experience in LeadCon13, look to keep that momentum rolling and capitalize on it. Today Andy looks back on the event, but also forward to the future - National Agents Alliance War Parties are coming in September! Will you be there? The Alliance is a 'whosoever doeth' organization, where what matters most is what is inside you and what is in your heart, you can think yourself into or out of any situation and you can be what you imagine yourself to be, and Andy expands on those thoughts and how we will become what we say, act, and do. Be sure to do the right things - What are they? Andy lets us know. The Live Show will air again on July 24, 2013 at 12:30 PM ET.